To reduce your cost, Brandsport offers this item in Bulk (sold here individually). Gorilla also lists this same item in 4-piece sets as Display Package # 40037 and Bag # 40037B. 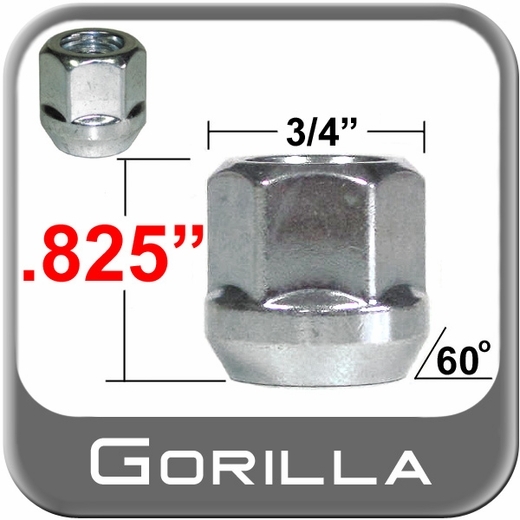 Let the driving experience last for years with rust preventing zinc plated lug nuts. .
Every single Gorilla lug nut is fabricated from peerless hardened steel. Seating surface made for individual 12mm x 1.50 specifications for precise wheel alignment accuracy.